Looking for an edge to boost your marketing – or for that matter – your business career? Sharpen your interviewing skills. It used to be that interviewing was a skill most often associated with researchers, writers or media hosts, but with the rise of the Internet and the constant quest for new content, we’re all becoming interviewers now. I was fortunate – I studied and practiced interviewing as part of my college coursework. This gave me a good foundation and helped me overcome the sheer DREAD I had of seeing or hearing my recorded self. After conducting hundreds of interviews – and watching others at work – I think almost anyone can become a good interviewer by following a few best practices. The following interviewing tips may help you. Plan ahead. Quite often I am interviewing industry professionals who are the top of their game, in an industry that is new to me. Without fail, these are highly engaged individuals with full calendars, so don’t expect them to be available “same day.” I’ve found I get the best results by preparing a short email to introduce myself and a brief synopsis of the project. I also tell them how much I would value of their participation, and inquire if they’re available for a short interview. I often include a few samples of my other work to give them an idea of what they can expect. Most often, they’ll respond with a clear yes or no, and indicate the best way to proceed. Tell your interviewee what is going to happen, when, and make sure you follow through. Once I get a “yes,” I respond with a huge thank you and a plan to send over a short summary of questions in advance of the scheduled interview. This can be done a week or a few days in advance, but it’s important to get the questions to them when you promise so they have time to formulate their thoughts. It sets a precedent of professionalism and shows the participant you respect their time. Create a handful of open-ended questions. Do your research. You don’t have to become an expert, but dig deep enough to get a sense of the topic that enables you to pose relevant questions. Also, avoid yes/no questions. Instead, create open-ended questions that invite them to share their opinions, observations and predictions. For example, rather than asking, “Do you think cloud-based technology is going to change your business?” ask “How do you think cloud-based technology is going to change your business?”Also avoid being too vague. Sometimes people respond better when you ask, “Can you tell me the three main factors that were key to your company’s success?” rather than, “What has made your company so successful?” You’ll have to play with this – some people are more comfortable and accustomed to being interviewed than others. Do your homework. The Internet makes it easier than ever to gather background facts on just about anyone. Nonetheless, I’ve listened to interviews in which the questioner has not taken the time to read up on their guest in advance. That’s the kiss of death. If your guest says, “You could have found this on our website, but…” you know they know you’re not as prepared as you should be. Your starting comments should provide a quick summary of the project, and then it’s always good to ask the interviewee to share their own background before diving into the more focused questions. This shows your interest and it’s a great way to help nervous interviewees warm up to the topic.For example, I was preparing to interview the founder of a company who was very well known in his industry and in Manhattan social circles – someone with decades of publicity behind him. I noted in his online bio that we both attended the same university. I mentioned this at the outset of our call, and it opened the door to a much warmer conversation. The key here is that your background research is important, but equally important, your interest has to be genuine. Listen more, talk less. You know those media interviews in which the host asks a longwinded question and follows it up with a series of their own insights before allowing their guest to talk? That may be fine for TV talk shows in which the host is trying to build a persona for themselves. It is definitely not the tactic to take when you’re trying to learn something from your guest. In fact, I view my job not as a chance to show what I know, but to get my guest to share what they know, in their own words. I view it as the 85-15 rule. If I’m doing my job well, my guest is talking 85% of the time and I’m talking 15% of the time. Remember, no one is expecting you to be the expert. You do, however, need to be a credible interviewer. Your goal, in preparation, is to do enough background research to be able to formulate relevant questions that will yield meaningful answers. That’s the beauty of preparing and sending your questions in advance. I always ask my interviewee if my questions are a good starting point or if they have suggestions. They’ll usually tell you if you’re on the mark, and also if their expertise doesn’t apply to any questions. Be respectful. 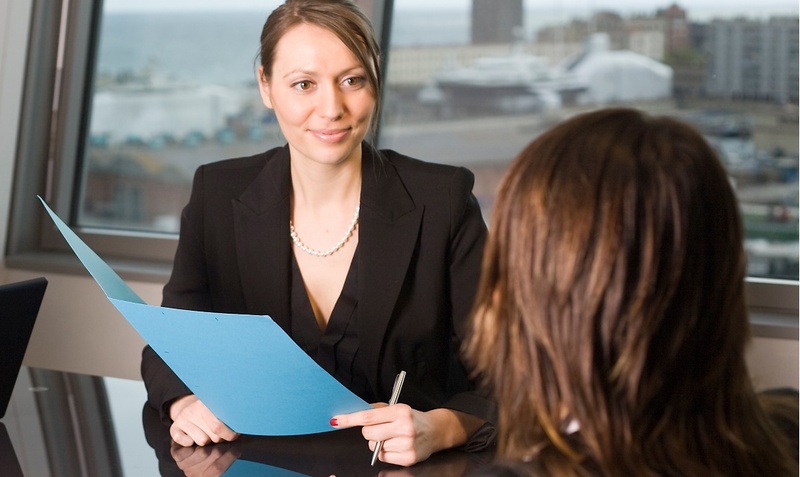 Respect your interviewee’s time and willingness to share their knowledge with you. Ask them if it is okay to check back in the future. Depending on the project, I also offer to let them preview their quotes before I finalize the document. You’d be surprised how many times a contributor will realize what they said in the interview came across differently than they intended, even when I’ve captured their exact words. Their edits usually have to do with the style in which they spoke or validating factual details. The overall result is an improved document. It’s the right thing to do in this case. This is business writing, not journalism or muck raking. Follow up. Send a thank you note after the interview. Let your guest know what will happen next and when. When your writing project is complete and published or posted, be sure to send them a copy. Following these steps has yielded, for me, many productive interviews that are enjoyable and informative for both parties. It’s also helped me build a network of enthusiastic experts who are willing to participate in future projects. Have fun!